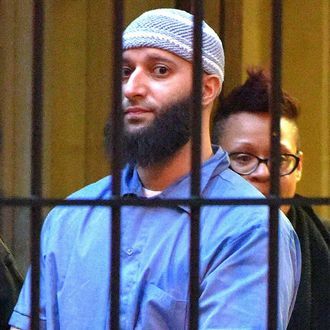 As Adnan Syed awaits a retrial for the murder of his ex-girlfriend, Hae Min Lee, HBO has announced that it will air a docuseries about the case made famous by the Serial podcast. The Case Against Adnan Syed has been in production since 2015, and will once again examine the 1999 murder of Lee, allegedly at the hands of Syed. Filmmaker Amy Berg got access to members of Baltimore law enforcement, Syed, his defense team, and his family, as well as friends and teachers of both Lee and Syed, and the announcement promises “groundbreaking revelations that challenge the state’s case.” The series’s timeline will begin with the events leading up to Lee’s initial disappearance and go through the present as Syed gets set for a retrial, which was granted to him in June of 2016, after his conviction was vacated. The ruling for a retrial was upheld in March of this year.